For customers with smaller mailing lists, those who only mail periodically, or those whose mailing sizes tend to fluctuate throughout the year, we offer a SaaS-based, on-demand version of our popular CASS Certified address correction software that lets you purchase the amount of address processing that is right for your business. You still get all the features and functionality of our state-of-the-art AccuMail frameworks address verification software, installed locally on your workstation or network, but your lists are processed in real time via a secure web connection to our AccuMail address verification servers. Address Correction - addresses are standardized & ZIP + 4 Codes assigned. Address Validation - addresses are validated against the USPS database. Integrated DPV, LACSLink and SuiteLink. Deduplication - advanced duplicate detection technology targets costly excesses in your database. Data Enhancement - adds Carrier Route info, LOT Codes, County Names & Codes, Congressional Districts and more. Multiple Import Options - works with many different file formats, including comma delimited, fixed width, Access, dBase and FoxPro file formats. 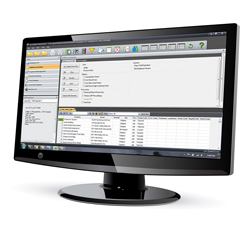 Data Management - Card View lets you edit customer data one entry at a time. Filters let you search for specific groups of customers along chosen parameters. Optional NCOALink - real-time processing with AccuMail Move. With our AccuMail frameworks OnDemand option, you’ll no longer need to install the bi-monthly CASS data updates - we host the postal data on our servers. We take care of all the maintenance and server costs so you don't need to. Just purchase the appropriate volume of records that works for you and you’re on your way to accurate address data. If you need to top up your balance at any time, just call us with a credit card and we’ll add those extra records to your account – and records last twelve months from the date of purchase, so you don’t need to worry about not using them all at once. 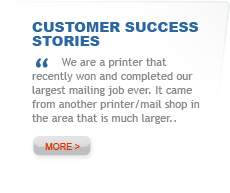 To learn more, or to get started with AccuMail OnDemand, call us on 888.227.7221 or request a demo.